Where can I get a car key made since I lost mine? If I had a dollar for every time I heard a customer say where can I get a car key made , I would have a pile of bills. The days of running down to the hardware store to get a car key copied are over. We are living in the age of electronics, wireless remotes, keyless entry, remote start, keyless ignitions, keys that have chips in them, and programming the computers in the cars to make it all work. Let’s face it, electronic devices are not always that reliable, I would be happy to go back to just a basic key to stick it in the steering column and turn it to start your car. What are my options to get a car key made? The dreaded dealership -where you’re sure to pay the most money. You will need to bring the vehicle in for this as they will have to program the key to the car. It will be an OEM part but in this case it does not make a difference. Online key replacement– This is only a partial savings and still requires a separate outlet to reprogram your key. You can order a new key online with your vin number and proof that the car is yours. They will be able to cut a new key but the programming will still need to be done at either the dealer, locksmith, or key service. Not to mention how much time it will take to get all that done. Locksmith– many people think of a locksmith as an alternative to the dealer. They will come to you and they can do most cars but the cost can be better than the dealership even with the service call fee. It can be a viable option but make sure you shop the price first. Specialized key replacement service– These are companies that have sprouted out to take care of a need in the automotive industry. They specialize in just replacement keys and remotes. The service will come to you and do the programming right on the spot. No need to go back to the dealer or call anyone else. However, if you prefer to take it to one of their main service area office locations you can save even more money. How much to get a key made for your car? Keep in mind every car is going to be different and we will take a closer look at prices in another article but just for one example a 2012 Mazda 3 key is a 2 part key. The key that folds in and the remote pack. The key itself is almost $60, then the remote (if you need that) is $157, but were not done. Now you have to truck on over to the service department to get it programmed. That will set you back an hour labor at $115 (a Texas dealer). This is one of the cheaper ones depending on year and model of the vehicle. So we are talking around the $350 range with tax. So consider if you have a family member that is prone to losing things maybe stress the importance of your car keys. 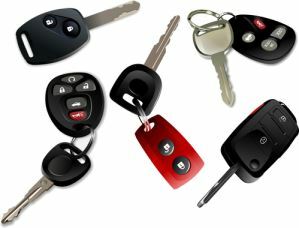 Many cars now a days do not require a key to start the car, but you must have a key fob. There is a button to start the car but the fob has to be close enough to the car to catch the signal and allow the car to start. Replacing that will require programming as well. Unlike a key fob, the remote can be programmed by the car owner with a certain sequence of events. The dealer should be able to tell you but sometimes they are reluctant as they want you to pay them to do it. Usually you can get on Youtube and find a video that tells you how, but usually that doesn’t have anything to do with the chip in the key. It will be for unlocking your doors, alarm or whatever you have on it. I need to mention that most key fobs should have a spare key inside of it where you can release it to open your car door or trunk, should something go wrong. So you may be asking again where can I get a car key made because you only need the key to open the trunk or door. There is no programming needed for those. You can check your local hardware store or even Home Depot may have the blank to make it, but I have found that even those are not that easy to make at a regular key replacement store. The remote or fob can lose it’s signal for some reason, maybe the key fob battery is no good.Replacing the battery is easily done and inexpensive.